Are sharp lines your thing? If you prefer the modern look of angles and corners, as opposed to the curves and smoother edges of a more traditional feel, then you can’t afford to miss this design. At 20% off its original price, the contrasting colour palette and textures work to create a kitchen design that feels at once dynamic and bold. In other words, a kitchen perfect for the present-day world of modern design and contemporary living. If outlandish and extravagant aren’t quite your style, but you’d still like to maintain a 21st century edge to your kitchen, then our offer on this Satin White design may be well worth your time. Minimalist in its nature, its clean and simple lines are complimented by the equally clean matte white doors. This kitchen design is perfect for those looking to lead a simple, uncluttered lifestyle. It would also benefit families, due to the design making optimal use of the space available. 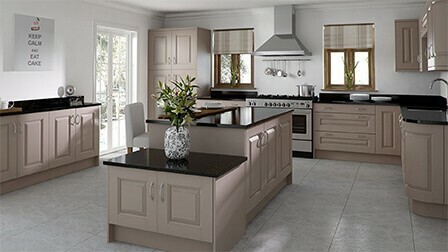 Shaker kitchens are in high demand due to their ability to be fitted into any kitchen. That’s right, no matter the size and/or shape of your kitchen, one of our shaker range can be easily implemented to create the perfect space. Take the Sand Oak Shaker for example, which includes shaker doors considered to be nothing less than ‘timeless.’ As if that wasn’t enough, the Sand Oak Shaker comes complete with a gorgeous woodgrain effect, adding the finishing touches to a top-quality kitchen. Check out our special offers page to see the amazing promotions that we have through out December & January. 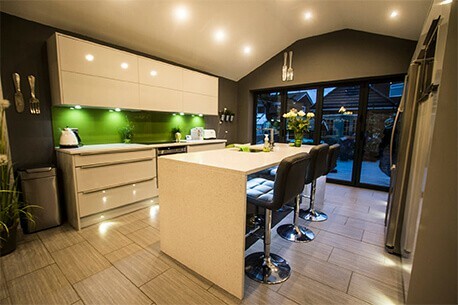 Based just north of Manchester, off the M66, we are easily accessible from surrounding towns – installing fitted kitchens in Bolton, Oldham, Bury, Preston, Ribble Valley and across Greater Manchester and Lancashire. 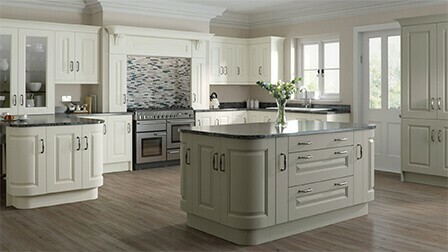 Ramsbottom Kitchen Company knows that your kitchen can be the heart of your home; the place you spend nearly all your time and entertain your guests in. That is why the style of your kitchen needs to be right for you. It needs to reflect your style, work within your home and have everything you need in it. We work with some of the UK’s most renowned kitchen brands to offer you the highest quality that you won’t find anywhere else! As proud stockists of Sheraton Kitchens and Neff Appliances, we are firm believers in ensuring you receive only the highest quality products on the market. 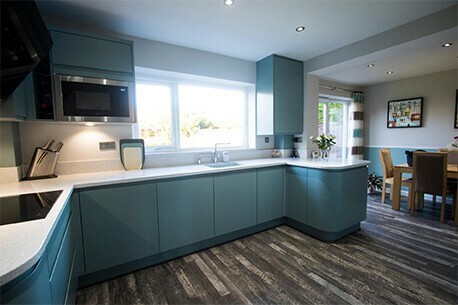 Whatever stage you are at in your hunt for a new kitchen, our stunning kitchen showroom located in the heart of Ramsbottom near Bury will be sure to provide you with lots of inspiration and information to help you make the right decisions.Come down today – No appointment necessary – You’re in safe hands! Thinking of a brand new kitchen for your home? 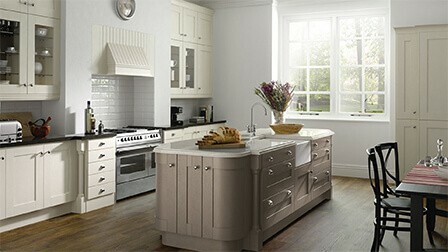 proud stockists of Sheraton Kitchens and Neff Appliances. 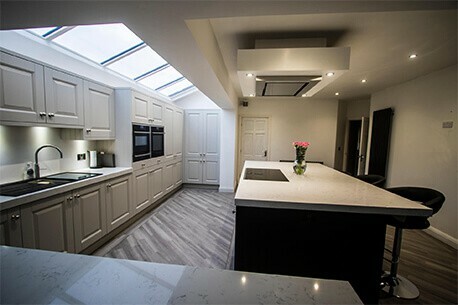 At Ramsbottom Kitchens, we have a full range of high quality kitchens available across our wide-ranging selection to suit your home and life style. To get in touch you can contact us online, call us on 01706 826 557 or come along and visit our kitchen showroom for inspiration and advice.